Our Sunguard Shade Sails™ provide dramatic shade that can be incorporated into any architectural design. 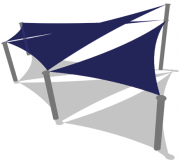 Sails are available in three-point triangles, four–point squares or rectangles, and larger multiple-point designs. Custom designs can incorporate different fabric colors attached at different heights resulting in a unique look to give any outdoor space a special one-of-a-kind appearance. They can also be overlapped to create a more dramatic scene and provide more shade coverage.  Sunguard Shade Sails™ are quickly becoming a preferred shade option for a multitude of outdoor shade solutions.